GM Performance Parts was founded to supply Trans Am racing teams with cutting edge components. When these products were released to the public, GM Performance Parts were seen on everything from street machines to Winston Cup cars. 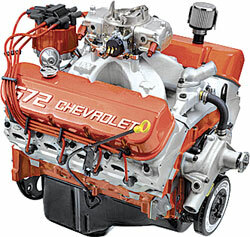 Today, GM Performance Parts manufactures race-proven crate engines, air/fuel components, transmission equipment, valve train components, and more!